Week one is in the books at Piers Park, and week two brought almost 30 new and excited faces to the Harbor Explorers program. You never really know what you're gonna get out of these kids, anything from speaking another language to dating advise, and even deep thoughts that make you wonder what happened to that beautiful 8 year-old mind we all used to possess. Where last week was dominated by games of Capture the Flag, the crowd favorite this week seems to be "Fishy fishy, cross my ocean." Drawing more on the imagination and thinking skills, the campers selected their favorite ocean animals and become the "fishes", while the "sharks" call out random attributes that describe a wide range of things from fins, to scales, or tentacles. 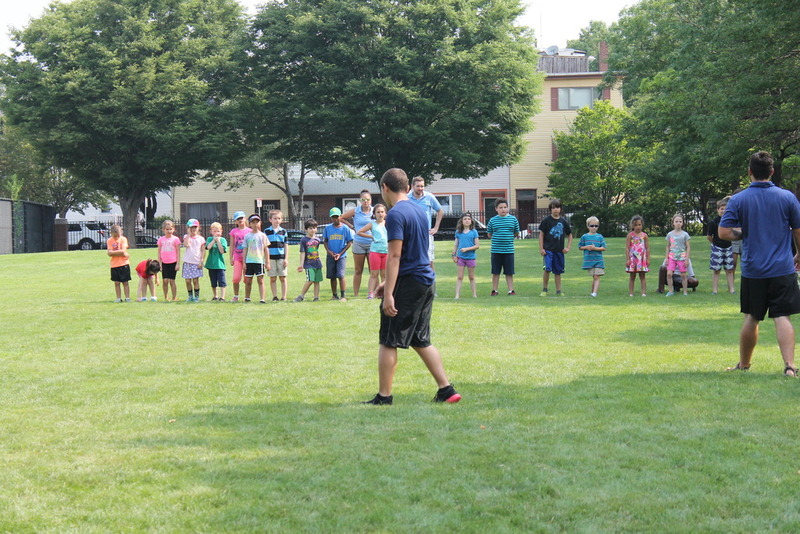 Once the sharks says "fishy fishy, cross my ocean," everyone must run from one side to the other while avoiding the sharks and "seaweed" or the other campers that have already been tagged. Endless screams of joy and the sound of 30 pairs of feet running through the grass make for an enjoying time for everyone, and also some great pictures! Perhaps my favorite part of this week has been the acquisition of my new nickname: "Iron Fist." After one of our campers scraped his knee on the playground, I carried him back to the Piers Park office to clean him up and get him a bandaid. When I got back to the park, another camper decided to give me the name "Iron Fist" because I was strong enough to carry a fellow camper to safety. While I'm not one for gloating, it made me feel good that I could help out of the campers in need...and get a super cool nickname at the same time! Overall things are shaping up to be another good week at Piers Park, and I'm sure many more to follow.